On Monday, March 9, 2015, Dr. Aryeh Siegel gave the following presentation to the First International Congress of Viktor Frankl’s Logotherapy in Israel, held in Haifa. LogoTalk Radio thanks Dr. Siegel for giving his kind permission to share the address with you. During graduate studies in the philosophy of logic and metaphysics at M.I.T., Dr. Siegel became disillusioned with the analytic philosopher's bias toward reductionism and materialism. With the guidance of Professor Huston Smith, he began to develop a philosophy of the esoteric unity of religions that he further refined while teaching the philosophy of religion and mysticism at The William Paterson College of New Jersey and also studying psychotherapy. 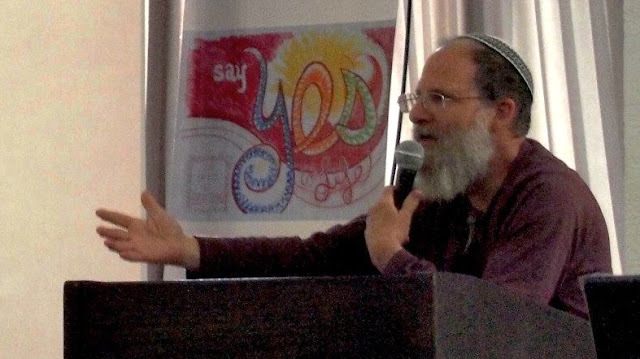 Having settled in Israel for over 30 years, Dr. Siegel has taught philosophy there in assorted venues, but has lately focused more on practicing and sharing the teaching of the Kabbalist Rabbi Yehuda Ashlag, which emphasizes selfless love as the way to achieve attachment to the divine. Living in the Jerusalem area as the father of five, he is currently employed as a manager of computer projects in the Israeli institute for social security, as well as working independently as a logotherapy counselor.